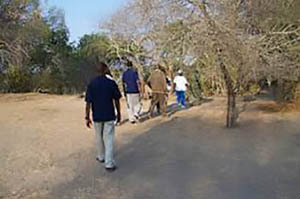 Early morning walks into the Game Reserve are a fantastic way to learn more about the bush itself. 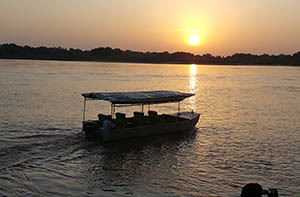 This safari allows an intimate impression of the African bush and wildlife, which is unforgettable and brings you closest to pristine nature. Although you may see wildlife during the walk, the focus is also on the habitat that the animals live in, insects, trees and birdlife. There can be little to compare with a walk in the bush. The sights and sounds (and smells!) 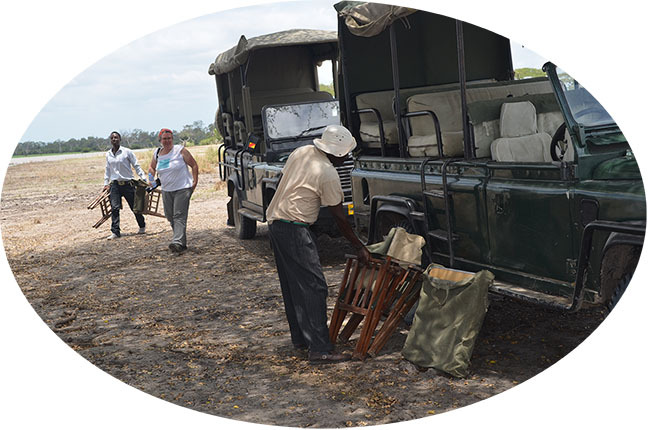 of a walking safari will long live in the memory. The thrill of creeping up to animals and then to "shoot" the animal not with a gun but with your camera, is a great experience. 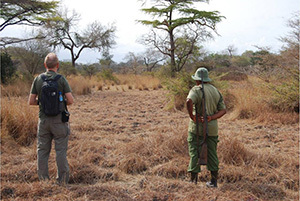 On a Walking safari, you are accompanied at all times by an expert tracker or Ranger. 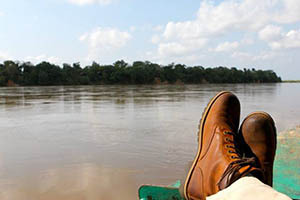 Walking safaris can be tailored to a person’s wish, as distances and temperature are to be considered for each person. Walks do not cover, as much distance as drives, so one may not see as many animals. But a walking safari takes interest into smaller things, such as birds, bugs, trees, flowers or tracks. Although you may come across bigger Game as well. The walks take about 2-3 hours long. Usually walks leave camp at 6-6.30 am after having a cup of tea and some home made biscuits or doughnuts.